A number of organization based in or near Beverly are working together for the preservation of Beverly's historic resources, for promotion of heritage tourism, and for sustainable community economic development for the town. Historic Beverly Preservation is the non-profit organization dedicated to the restoration, heritage and preservation of historic Beverly. 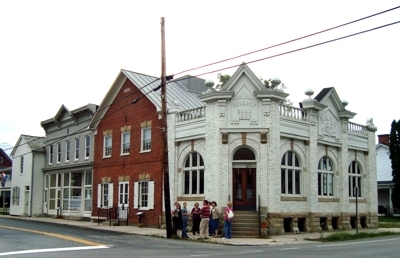 HBP has provided the manpower and financial support, in partnership with the Beverly Historic Landmarks Commission and with a grant from the WV Historic Preservation Office, to develop Beverly's historic interpretation materials such as this web page presentation, the Historic Beverly Walking Tour brochure, and on-site interpretive signs for a number of key buildings. 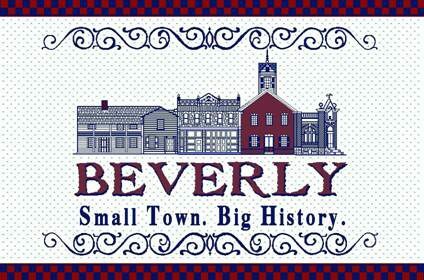 Beverly Heritage Day, held bi-annually, is sponsored by Historic Beverly Preservation. Featuring historic home tours, crafts, food, music, and living history, Beverly Heritage Day is planned to raise awareness about the history and historic resources of Randolph Countys premier community, as well as to raise funds for future preservation work. 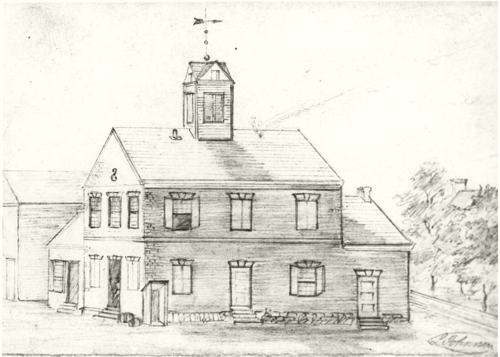 Historic Beverly Preservation is a non-profit membership organization. All supporters of our mission are encouraged to help, either by joining or sending your donations to the work of the organization, and also by participating in our activities. Meetings are held monthly, usually on the third Monday. Please inquire if you are interested. RMBF was founded in 1991 to protect the Rich Mountain Battlefield and promote the area's Civil War heritage. As a community highly significant in Civil War history, working with Historic Beverly has been high on RMBF's priority list. The Battle of Rich Mountain on July 11, 1861, brought the Civil War to Beverly, and the Rich Mountain Battlefield Civil War Site can be seen today 5 miles west of Beverly. SPTA is a collaborative organization that is working to preserve, coordinate, and promote the historic, cultural, and natural resources along the historic Staunton-Parkersburg Turnpike from Staunton, Virginia to Parkersburg, West Virginia. Those sections of the Turnpike through Pocahontas and Randolph Counties, including Beverly, have been designated as a West Virginia Byway. 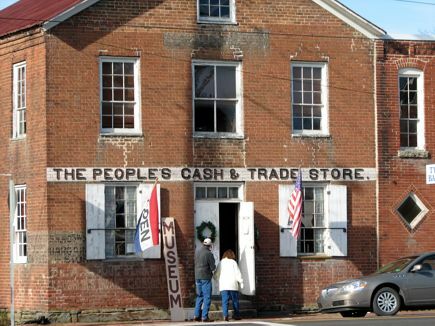 On the Staunton-Parkersburg Turnpike Byway you can follow much of the original alignment of the turnpike, visit the Civil War sites and historic towns along this dramatic route, while enjoying beautiful scenery and outstanding outdoor recreation opportunities. Active since the 1920s, the RCHS has worked for decades to protect and present the heritage of Randolph County. They have published a number of local history books, including "Historic Beverly, a Guidebook" by Donald Rice and Phyllis Baxter, and "Randolph 200" by Donald Rice, both available from the Society. They own and operate the Randolph County Museum in Beverly, and is a partner in the Beverly Family History Research Library. Two other RCHS projects stand behind the Museum. The Subscription School was saved and moved from a farm near Becky's Creek in a joint project with the Randolph County Retired School Personnel, and houses an extensive collection of one-room school memorabilia. It is open by appointment or during special events, including Beverly Heritage Day . The Jacob Stalnaker Cabin was saved and moved from its original location south of Beverly as a joint project of the RCHS and the Stalnaker Family Association. Restoration work on the cabin will be ongoing, and both donations and volunteer help are urgently needed!! ARFHS is a non-profit organization dedicated to promoting interest in and preservation of family history and genealogy throughout the Allegheny Mountain Region. They are the primary partners in the Beverly Family History Research Library. They hold monthly meetings and encourage non-resident members who have families from the area. In addition to the Library, ARFHS publishes a quarterly journal, Allegheny Regional Ancestors, and has for sale a variety of publications including cemetery listings and other research information for the area. 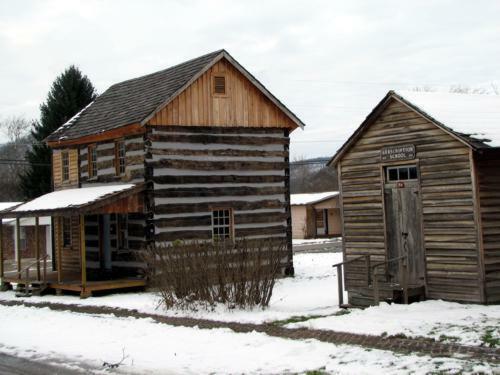 This web page funded in part by a "Certified Local Government" educational Grant from the West Virginia Historic Preservation Office and the National Park Service.